Recognized by more than 8 million Muslim users around the world. Quran Majeed قرآن is an amazing Quran app that beautifies your life with the blessing of reading and listening to the Quran on the go. 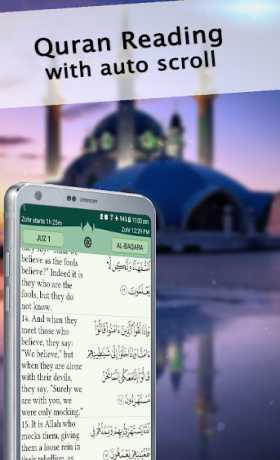 The latest version of the authentic Quran Majeed app for Android offers complete Quran in the elegant Uthmanic script and IndoPak Script proofread by a Muslim Islamic scholar (‘alim), multiple audio recitations and translations. 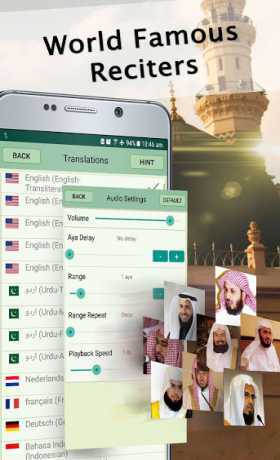 A must have app for all Muslims. ● Selectable themes (Green, Blue, Classic-Green, Night Mode, Light & Brown). ● Worldwide Prayer Times clock with Azan/Adhan alarm options. Supports different prayer time calculation methods. Ramadan Sehar/Iftar times. ● Option to display any translation along with full Arabic text.